This versatile grape comes from France's Loire Valley and its great acidity allows it to stand alone as a single varietal wine or it can be blended, for example with dry or sweet wines, to aid longevity and development of the wine. 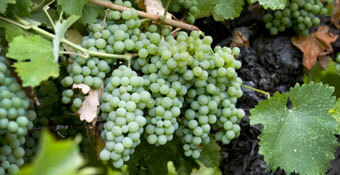 Chenin Blanc is also grown in many New World wine regions, in particular in South Africa where it is known as Steen. In New Zealand some examples of wineries that very sucessfully produce Chenin Blanc wines include Forrest Estate, Margrain Vineyard and Millton Vineyards. Varietal characteristics: Pear, quince, citrus, stonefruit, lychees, floral aromas, cumquat.